Mashreq, a leading financial bank in the UAE, has posted a net profit of Dh1.7 billion ($462 million) for the first nine months of 2018, as against a net profit Dh1.6 billion during the same period in 2017, marking a rise of 5 per cent. The operating income is up by 3.6 per cent and stands at Dh4.6 billion, reported Emirates news agency Wam, citing a statement by the bank. Net profit for the first nine months stood at Dh1.7 billion - a 5.0 per cent increase YoY. 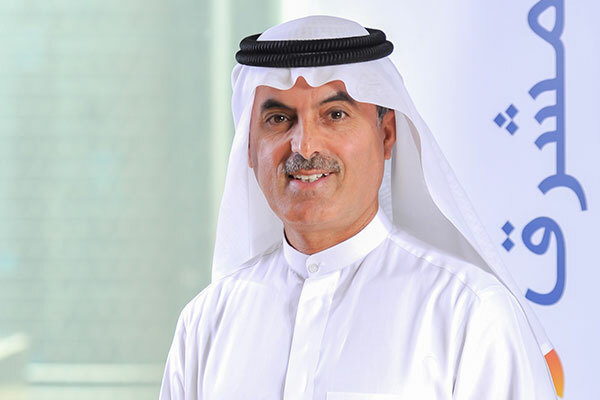 Abdul Aziz Al Ghurair, Mashreq CEO said, "With a firm focus on fostering innovation in each aspect of our business, Mashreq’s third quarter results are testament to the continuing success of our transformation. We achieved solid growth in our balance sheet with a deposit growth of 8.1 per cent year-to-date, well above market norms. This was complemented by our strong liquidity position with high liquid assets to total assets ratio of 28.4 per cent." "As one of the most innovative bank in the region, we remain committed to investing in state-of-the-art technology including robotics, artificial intelligence and machine learning, ensuring our customers benefit from a modern, simplified and intuitive banking experience. We have already accomplished several major milestones in transforming both our front and back-end processes, and will continue to showcase our agility and our thirst for disruption in our goal to be the region’s preferred banking partner," added Al Ghurair.